Coagulation or blood clot formation is your body's way to prevent excessive bleeding. For example, your body forms a blood clot when you cut your finger accidentally. In the absence of clotting, the bleeding will not stop and your cut will not heal. These types of blood clots prevent excessive blood loss and are actually beneficial. However, blood clots can cause serious complications sometimes. You can develop a blood clot after surgery in areas such as the brain or lungs, which is very dangerous. Blood clots may develop in deep veins in your body, such as the arms, legs, and pelvis. The condition is called deep vein thrombosis (DVT). Why Would You Develop Blood Clots After Surgery? You are likely to develop DVT after surgery mainly because you will be inactive for quite some time. Muscle movement plays an important role in transferring blood to the heart, but the process will slow down because of your inactive lifestyle after surgery. This will lead to the accumulation of blood in the lower part of the body and a clot will develop eventually. You may also develop a blood clot after surgery because there are chances that foreign matter such as collagen, debris, or fat gets released into your bloodstream during surgery. 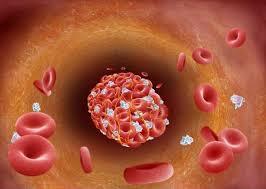 Your blood will thicken due to the presence of any foreign matter and this will lead to coagulation. Sometimes, blood clots travel to the lungs and cause a blockage in the pulmonary arteries in the lungs. The condition is called pulmonary embolism, which requires immediate medical attention. 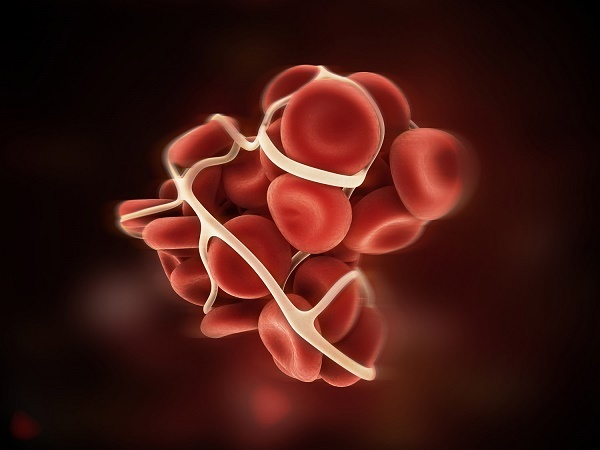 You are at a higher risk of developing pulmonary embolism when you have deep vein thrombosis. Both conditions usually occur together and are often referred to as venous thromboembolism. What Increases Your Risk of Getting Blood Clot After Surgery? You are at a higher risk of getting a clot after surgery if you have a previous history of blood clots, have a body mass index (BMI) higher than 40, or smoke tobacco. If you are undergoing cancer treatment, you will be at more risks to get blood clots. Some women are more likely to get blood clots when taking hormonal pills like birth control. Your doctor will use different treatment approaches mainly to limit the growth of the blood clot. Prompt treatment greatly reduces the risk of experiencing serious complications. Blood thinners: Your doctor may prescribe a blood thinning medication (anticoagulant) to break up the clots while preventing new clots. Heparin is a common choice and is usually given with an oral anticoagulant such as warfarin. New medications are now available that work efficiently without interacting with other medications. Clot dissolvers: Your doctor may give you thrombolytics or clot dissolvers through the vein. They help dissolve clots quickly. These medications are usually the last resort and are given in life-threatening situations because they have the risk of causing sudden and severe bleeding. Clot removal: Surgical removal of clots is an option when you have a very large clot in your lung. Your doctor will remove it through a flexible tube threaded through the blood vessels. Vein filter: The procedure involves using a flexible tube to position a filter into your body's main vein. It helps prevent clots from entering your lungs. It is an effective treatment option but is usually suitable for people who have problems taking anticoagulant drugs. You should quit smoking because it increases your risk for blood clots up to five times. You should maintain a healthy body weight by keeping an active lifestyle and following a healthy diet. Work with your physician or nutritionist to lose weight in a healthy way. Wear compression stockings after your surgery. They help squeeze your legs to promote blood flow. Try pneumatic compression that involves using calf-high cuffs that inflate with air after a few minutes and then deflate again to squeeze your veins in the legs. This helps improve blood flow and prevent blood clots. Work with your doctor and start moving soon after your surgery to prevent pulmonary embolism. Keep your leg elevated especially during the night to make it easier for blood to return to the heart. What Does a Blood Clot Feel Like? Does Alcohol Thin Your Blood? What Does Low Blood Pressure Feel Like?